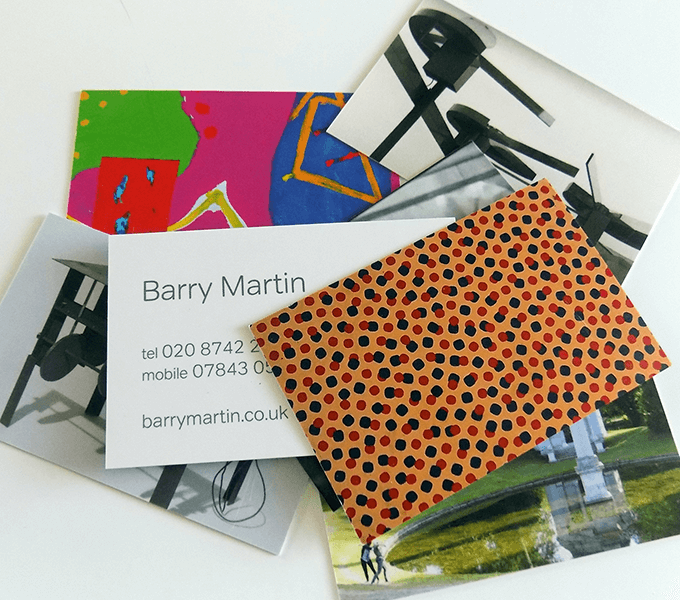 Barry Martin is an established artist working in diverse media from his studio in Chiswick House grounds. 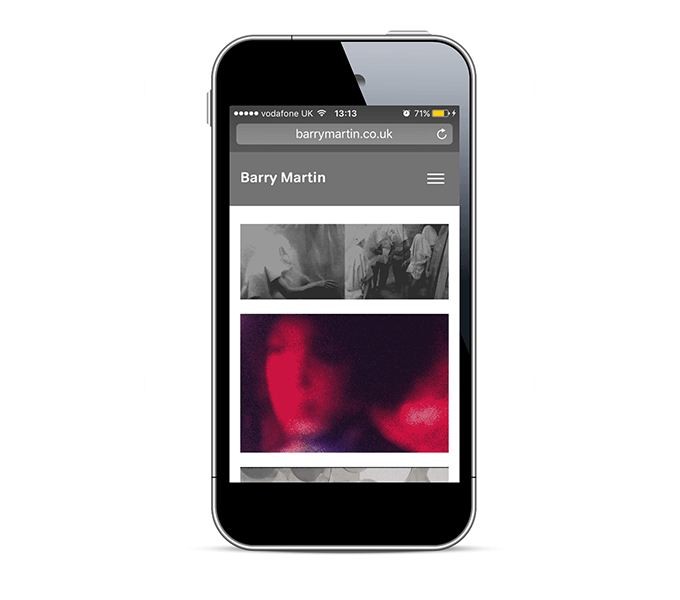 We developed his new responsive website to reflect the scope of his work over the past 50 years, with the home page focusing on the movement inherent in his kinetic sculptures and performance pieces. 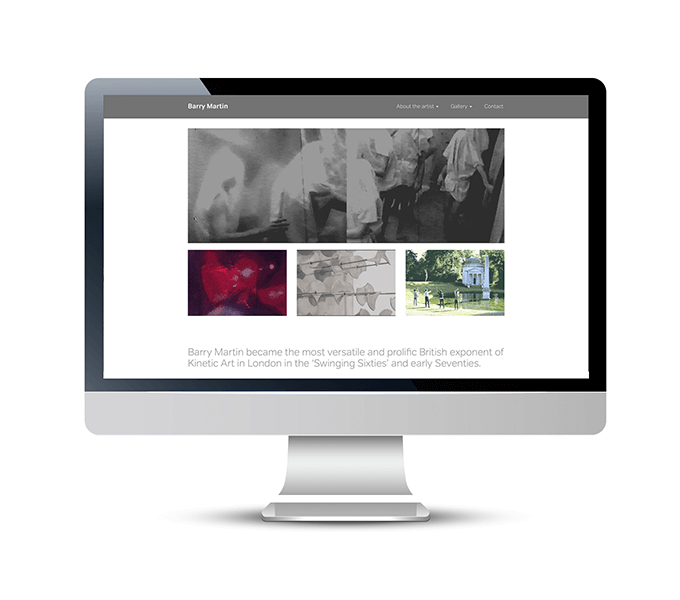 Animated gifs built from archive footage and stills were used to create a moving collage on the homepage, keeping the grainy analogue feel of the original super 8 film. 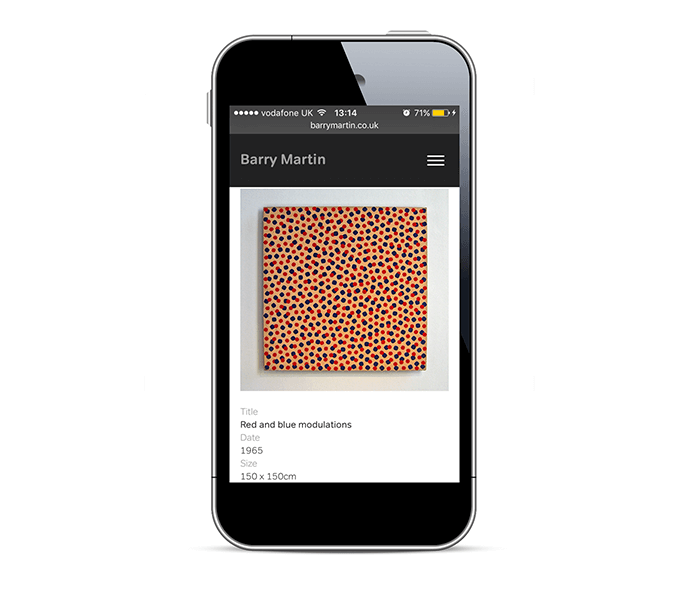 The gallery section will be developed further to include more of Barry’s work, and the site also houses archived pages from his older website so they can still be accessed online. We also designed a set of cards featuring seven different backs with an artwork on each.